Going out with my new Marc by Marc Jacobs bag has been one of the highlights of the weekend, together with sunny weather ! I was finally able to wear a leather jacket :). This Mango dress was waiting for me in my closet with tag still attached and it was screaming to get my attention...I have so many hangers in my closets that it's hard to find something, this is truly the time of the year when I get completely lost in my closets...it isn't totally warm yet so wool clothes and coats are still around and there's new things being added all the time !. You can easily sport me talking by myself when I can't find something, it's not that I am a crazy, at least not totally...I am just a shopaholic that feels defeated from the concept of space !. Do you also complain and get nervous when you can't find something or do you still have control over your own clothes ? Let me know that I am not alone, please :-). Uscire con la mia nuova borsa Marc by Marc Jacobs è stata sicuramente una delle cose migliori di questo weekend, insieme al tempo che è stato soleggiato e caldo ! Finalmente ho potuto indossare una giacca di pelle. Questo abito di Mango mi stava aspettando nell'armadio con l'etichetta ancora attaccata da un bel po' e stava gridando per attirare la mia attenzione...ho così tante stampelle nei miei armadi che è molto difficile trovare qualcosa, questo è il periodo dell'anno in cui mi sento più impotente di fronte all'avanzare del disordine...non è ancora abbastanza caldo da poter abbandonare abiti in lana e cappotti e in più ci sono nuovi acquisti che continuo ad aggiungere !. Mi capita spesso di parlare da sola e mi lamento di non riuscire a trovare un abito, non è che io sia pazza, almeno non completamente...sono solo una shopaholic che si sente ormai sconfitta dal concetto di spazio !. Anche voi vi lamentate spesso e vi innervosite quando non riuscite a trovare qualcosa o avete ancora il controllo totale dei vostri abiti ? Fatemi sapere che non sono l'unica, per favore :-). I don't like to complain but lately there's something that bugs me...I notice many average brands have lifted their prices in a way that has no meaning. Example: a couple of days ago I entered at Liu-Jo shop and was very surprised to see their prices went pretty sky-high and the quality stays the same. I had seen a denim jacket with a line of sequinned pearls and it costed as much as a leather jacket !. I am sorry cause I have seen the same thing happening to another brand, Sixty was a brand I adored but I don't buy as much as I used to from them cause prices went ridiculously high and the quality didn't improve. I think this is a no win strategy cause people will either go to higher quality brands or if they need o save, will go to low cost brand. Another thing that bugs me is that a few shops in my town sell clothes from abroad online shops at a higher price...don't they know that now that most of online shops sell worldwide customers can check on the price ? It's not a good thing when you find out only after your purchase that you could have ordered that dress online for a much cheaper price !. Italians: do you agree ? And if you are not in Italy: does it happen in your country, as well ?. Anyway, as a result of this I find myself more and more attracted to online shopping !. Non mi piace lamentarmi ma ultimamente qualcosa mi infastidisce...noto che molti brand di medio livello hanno alzato i prezzi in modo davvero ingiustificato. L'altro giorno, ad esempio, sono entrata nel monomarca Liu-Jo e ho trovato dei prezzi molto alti per la qualità dei prodotti. Avevo puntato una giacchina in jeans che solo per un filo di perle applicate costava come una giacca di pelle !. Credo che questa non sia una strategia vincente perché le persone preferiranno puntare o su brand dalla qualità maggiore o, se vogliono risparmiare, andranno sul low cost !. Mi dispiace perché ho visto accadere una cosa simile alla Sixty, brand che adoravo e che ora uso poco proprio perché a mio modesto parere i prezzi sono troppo alti e la qualità non è cresciuta. Credo questa strategia non sia premiante: a questo punto molta gente preferirà puntare su brand di livello più alto oppure si dirigerà su brand low cost che hanno almeno un prezzo inferiore. Un'altra cosa fastidiosa: alcuni negozi della mia città vendono abiti che si possono comprare online da negozi esteri ad un prezzo notevolmente superiore...non sanno forse che ormai, dato che la maggior parte dei negozi online spediscono in tutto il mondo, i clienti possono controllare il prezzo ? Non è piacevole scoprire solo dopo l'acquisto di aver pagato inutilmente un prezzo gonfiato. Italiani: siete d'accordo con me ? E se non siete in Italia: accade anche nel vostro paese ?. Io, di conseguenza, mi scopro sempre più fan dello shopping online !. Only a few days left ! If you wanna win an accessory and 80 $ gift card on Romwe, this is the Giveaway for you ! White Day giveaway is open internationally until March 20th, to enter fill in the Rafflecopter form you find here !. The winner will be announced on March 21st on Fashion and Cookies :-). Mancano pochi giorni ! Se volete vincere un accessorio e 80$ da spendere su Romwe, questo è il giveaway che fa per voi ! Il White Day giveaway è internazionale ed è aperto fino al 20 Marzo, per partecipare riempite il form di Rafflecopter che trovate quì !. Il vincitore sarà annunciato il 21 Marzo quì su Fashion and Cookies !. Your outfit is fabulous as usual, love the combination of your dress and the Marc Jacobs bag! As for what you said about the brands, I totally agree with you. I have noticed this situation when I ordered a bag online and then noticed a few bags from the same collection in a local boutique... three times more expensive. Or, better yet, having noticed that many people paid attention to a certain dress, they raised its price overnight... unbelievable, right? Beautiful bag! Bright colors are always flattering and jazz up a subdued outfit. Plus, red with fuchsia are still a super-hot color match! Great bag and dress! It's been getting warmer in Helsinki as well, but it's not that warm enough to leave all the coats, scarfs and boots "behind". Yep, I have realized the same thing with some stores in Helsinki, they could be selling the same clothes which I can find online as well, but they're much more expensive at stores, then online, therefore I rarely go to shop anything at the stores anymore. Aww your bag is so awesome! love the shape and colors of ur bag! Your bag is absolutely wonderful and stylish... love your outfit! So pretty! We adore your bag! So amazing! I love Your outfit and I like Your blog a lot, so: Yes I want to follow each other. I'll follow You and I'm waiting for Your following me too. thanks darling! :) yep i follow you and you follow me, okay? thanks for your comment :) catrice nail polish isnt easy to find here in germany, too, but in every bigger city there is a douglas store and there you can find it. i'd really like us to follow each other on gfc and bloglovin, i don't have a facebook page but if you have, i can follow you there, too! Un ottimo look! Veramente molto elegante!!! Complimenti!!! very chic! Love the darker florals mixed with this bright preppy tote!! Yay, I found an Italian blog (I have to learn Italian this year, because I love languages :D). The panorama in the background is awesome!! bellissima la borsa! ma sai che ho notato la stessa cosa? 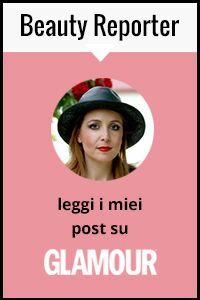 prima da Zara costava tutto poco ora.. che prezzi! Ciao Vale, quella borsa sta davvero solleticamndo la mia vista, ma quanto è bella? Non sapevo di liu jo ma vedo i prezzi di zara che sono davvero esagerati. Anche per me questo alla fine non pagherà. I'm now following you now via GFC and bloglovin :) follow me back via GFC ? WOW, you look gorgeous! And the bag is fabulous! I love your bag. It is gorgeous! It is not right that they charge different prices for on line shopping or going to the store. Thank God, this doesn't happen here in the US. Thanks for commenting on my blog! I am following you on GFC. I would appreciate if you can follow me back. wonderful bag! a true keypiece!! I really like the colors of the MJ bag!!! it makes the pattern on your dress really pop! Love this bag I have a total case of the jealousy !! I really love you MJ bag so stylish! Love the colour of it! Sure lets follow eachother, let me know when you started and Ill follow you back. Love your bag - so beautiful! Awesome combo of colors! Lovey outfit, the bag is so pretty! Your look is so wonderful! Most of all I LIKE THE BAG, it's just perfect! visit my blog please)follow me and Ill follow u back! La borsa è bellissima e anche il vestito! Riguardo ai negozi e alle strategia che hanno adottato,concordo pienamente!! Certo è bello poter comprare e indossare una giacca di jeans Liu.jo,ma onestamente,se devo pagarla quanto una di pelle,preferisco comprare quella in pelle!! Inoltre,non tutti possono permettersi di pagare certe cifre! Io ad esempio amo Moschino,ma erto non posso chiedere ai miei di comprarmi un paio di scarpe da 200 euro e passa,quindi devo acquistare in negozi o brand low cost! Thanks for the lovely comment, of course i follow you!! I like to order online as well and no we don't usually have that problem here in the U.S. where everyone is always looking for a great deal. Lovely bag, necklace and outfit. Lovely outfit!! I love your handbag!!! New post!! ''Mint blouse'' I hope you like it!! You have an amazing blog, and the bag is gorgeous! I'm following you back on Facebook as well! i'm totally agree with you ;) really like this: "I am just a shopaholic that feels defeated from the concept of space" it seems i wrote it :) and about prices in shops you are also right. the same here, so that's why i'm addicted to online shopping. and finally...This bag is Gorgeous!!! okay now i follow you twice time . Great outfit! Love you bag! Hi girls thank you for your message on my blog I also love your blog you could follow my own and I would follow your blog. Thanks for your comment on my blog, you're welcome wherever you want. I love the bag, it's so cute. I already follow you in every places!! :D kisses and thanks so much!!! Nice post :) and thanks for your comment. Hi dear! Your blog is stunning! I loved your outfit and everything!! Sure let's go follow each other. I'm following you by gfc. Kisses! I love this bag, this colours are wonderful for spring! Lovely outfit and the bag is amazing!! Thanks for the sweet comment on my blog. Follow you with GFC and Bloglovin. The entire look soooo gorgeous! Thank you for the lovely comment on my post:) Following you! Ese bolso me parece espectacular!!!! fabulous bag dear! you look gorgeous, and you're so right about some brands increasing their prices, I'm also becoming a fan of buying online. Hi there! That's a fantastic bag. I'm loving the way you combined it with the shoes anf this gorgeous jacket!